Modest Infrastructure Pvt. 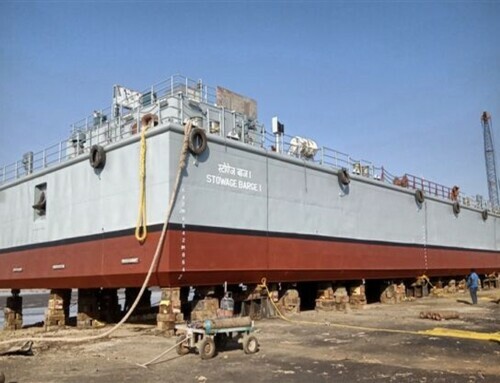 Ltd (MIPL) has secured an order for construction and delivery of 01 X STOWAGE BARGE from the Indian Navy (Directorate of Ship Production). The order was secured through Competitive bidding. 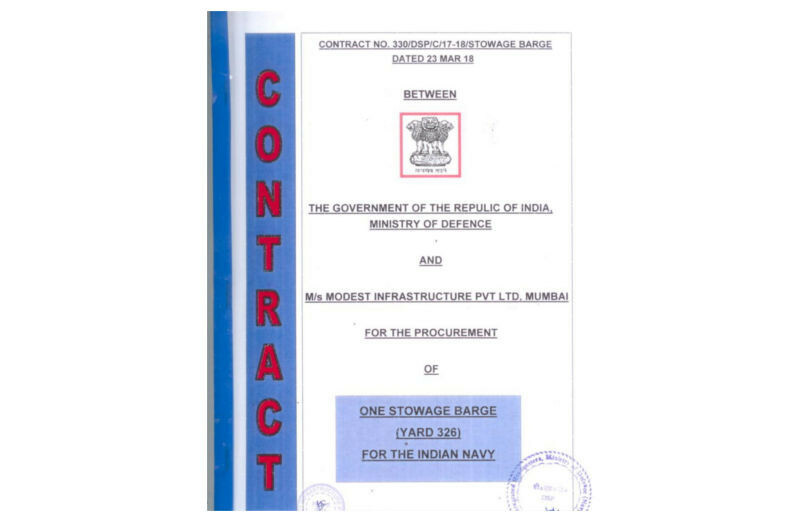 The said shipbuilding contract was signed between MIPL, represented by its Director, Mrs. Sharmila Prabhu, and Indian Navy, represented by its Principal Director Ship Production, Ministry of Defence, Indian Navy/ at New Delhi on the 23rd March 2018. The value of the contract is approximately INR 11 Crores. The tenure of construction and delivery of the Vessel is 12 months. The place of delivery is Port Blair. 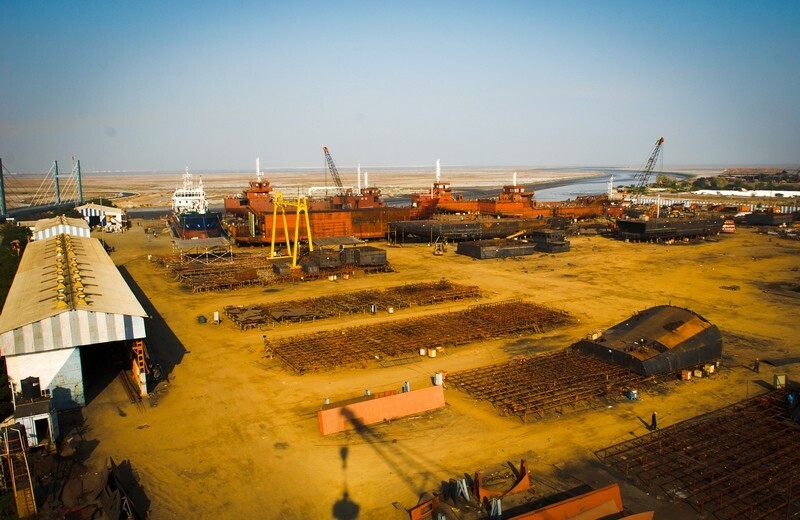 The construction shall take place at MIPL’s Bhavnagar Shipyard. Modest Infrastructure Pvt. Ltd is proud and happy to be back with Indian Navy in the business of meeting its sea-faring needs!